Home, homey, comfortable, cozy, convenience, relaxing! From the start of your day with big experience shower dream style, to the evening relaxation on your large front porch just a swinging, or maybe some will relax playing in their big double detached garage, while others float in the pool or setting by Dodds Creek. 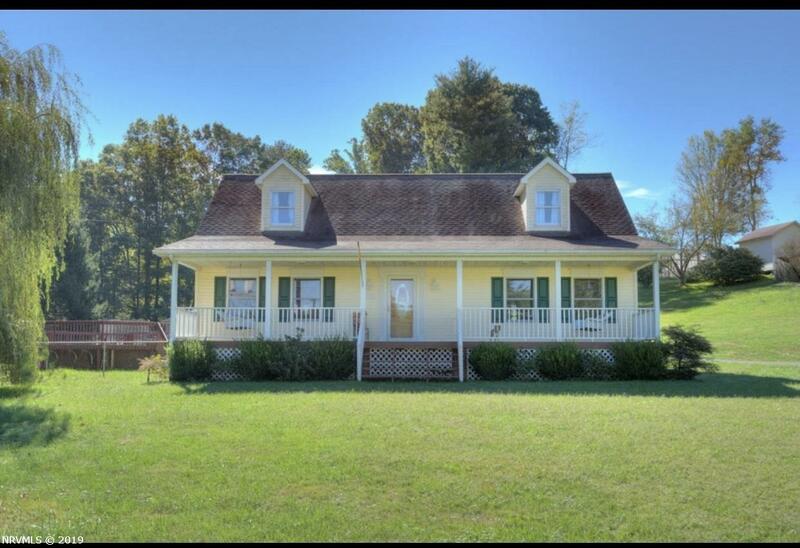 All this and more walking distance to most amenities in the town of Floyd. From the moment you are home enjoyment of owning a private setting on a large country lot starts, also featuring private back deck overlooking the pool, garage, big back yard a world away. This couple had a few dreams they wanted to incorporate in their forever home for their cozy enjoyment, so they made a few warm upgrades to the kitchen, better than picture perfect. No question, most everyone has dreamed of a master bath with a luxury shower. Winter no problem, home also features wood fired hot water heat incorporated in the heat pump, wired for generator & generator.